Setting Power Options with Group Policy to Get a Raise! Most organizations see IT as a necessary expense. After all, it is a rare month when we aren’t needing a new tool, hardware, or service. Reducing power consumption is one way that IT can generate some serious savings! How much? We reduced power by just 30% and saved $65,000 per year! So if you have been looking for a way to get a raise (or to hire an extra person or two), read on! What is Your Current Usage? How much does that power cost? How long is the device used for? The examples shown are geared toward Dell machines. This layout should work for any Make and Model though. The only client requirements relate to the actual BIOS update file. It must initiate silently. 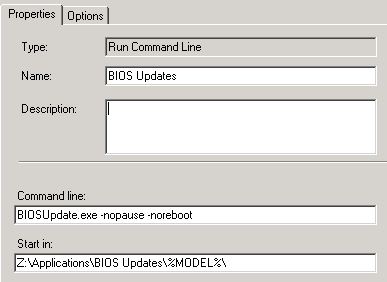 If you are ready to get your BIOS updates under control, keep reading!